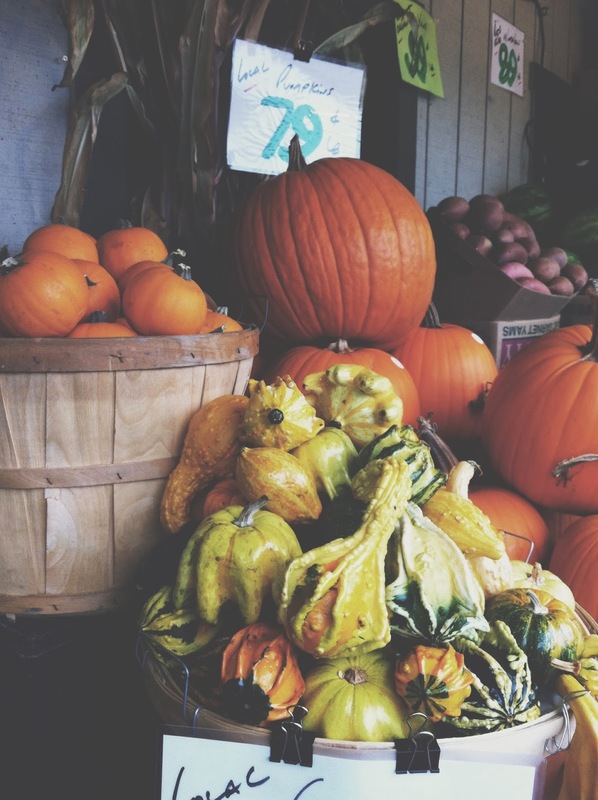 a few of my favorite things about autumn..
+gourds in big baskets, cause they’re gourds. in big baskets. +feeling that crisp breath of air enter my lungs on an evening walk. +crock pots full of brewing hot cider at work, smelling up the whole office. +trips to the punkin’ farms with friends. we know allll the ones that negotiate prices if you’re looking 🙂 we’ve purchased up to 35 pumpkins at once.. so yeah. +having to wear long socks when i’m lounging around the house again. risky business anybody? +the pop of a baseball bat because it’s playoff time & i’ve been down-right brainwashed by my husband. +it will [now] always be the season that i felt my first baby kick in my tummy. Yes and yes. Ditto to this list. It is my favourite time of year too! I am excited to expereince the U.S. version for the first time! Oh, I love that it's autumn where you are and an ice-cream-melting, summer-like spring in Australia! oh yes!! welcome spring and soon enough, summer!! enjoyyyy it! !